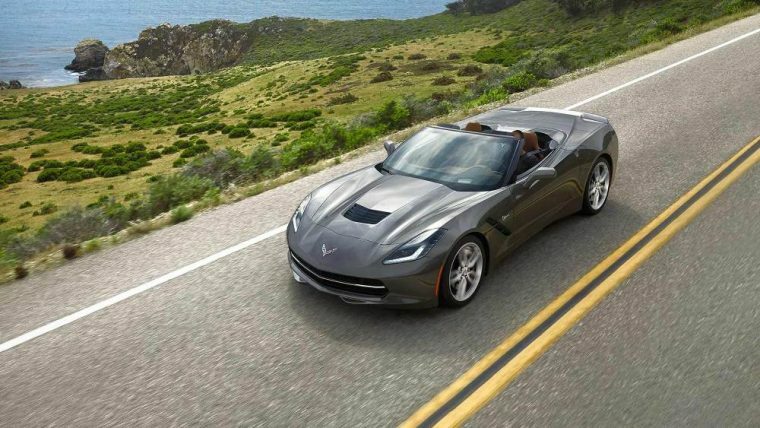 Chris Doanne Automotive in Detroit recently posted an image to Facebook showing a December 16th trademark application for the name “Corvette E-Ray,” which is fueling speculation that General Motors could be planning an electric version of the Corvette Stingray. Whether the E-Ray’s powertrain would be purely electric, a hybrid, or a plug-in hybrid is anyone’s guess. Likewise, it’s also unknown whether this could be a concept car or an actual addition to the Corvette lineup. At this point, GM might not even know for sure. It’s possible that the automaker is simply reserving the E-Ray name before anyone else can claim it. Given the fact that it took six months for the Camaro Krypton to go from a trademarked name to an actual SEMA concept car, it’s safe to say we will have to wait a while before we find out what the Corvette E-Ray really is (if anything). However, the bowtie brand could always surprise us by revealing an electric Corvette concept in time for the Detroit Auto Show in January, or the Chicago Auto Show the following month. Would an electric Vette enrage purists and longtime fans of the classic muscle car, or would it help Chevrolet better compete with EV supercars from the likes of Tesla and Porsche? Only time will tell.